To change your subscription seat count, navigate to the Subscription tab within the Organisation settings menu. 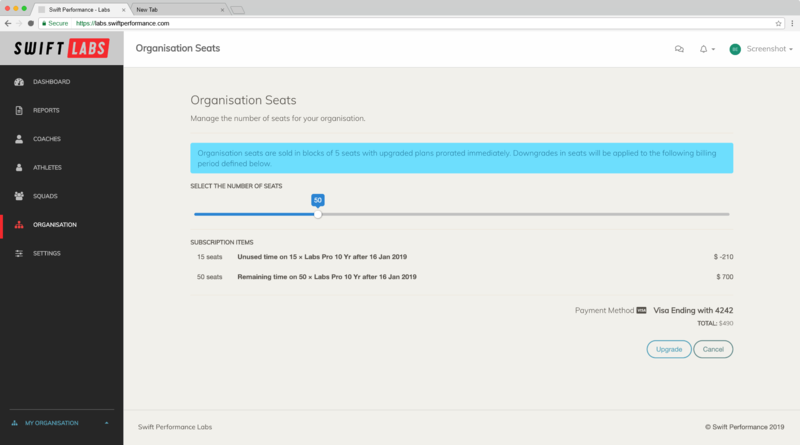 Clicking the “Change Seats” button underneath the current subscription seat count will navigate you to the Organisation Seats management page. Organisation subscription seats are sold in blocks of 5 seats with a minimum of 5 and a maximum of 195. If you require a subscription seat count over the maximum you will be prompted with a contact us form to organisation special pricing. Using the seat count slider, you can preview the cost of the subscription based on your current plan. All subscription upgrades are prorated when upgraded. 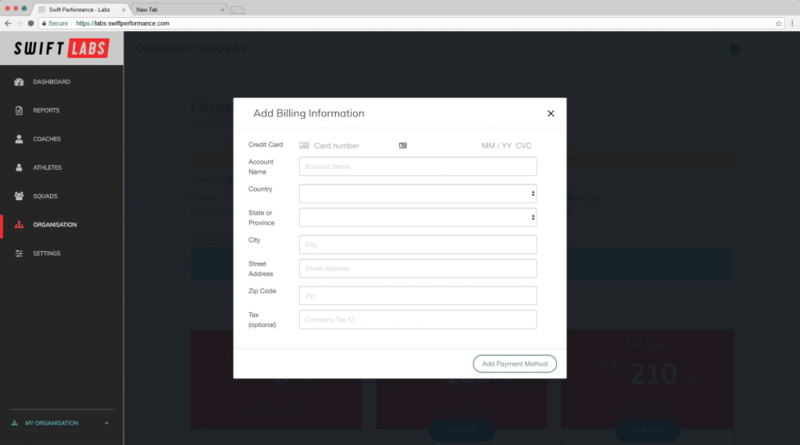 Depending on whether a billing source has been attached to the organisation, you will be prompted to enter in a billing source. All credit card information is stored within a secure 3rd party provider with no credit card information stored on our servers. Prior to charging your account, you will be prompted to confirm any charges on your payment source. Closing the confirm charge window will halt any charges, clicking “Pay” will charge your payment source the displayed amount. On a successful charge, you will be redirected back to your organisation subscription management tab with the newly updated subscription information.